Whether you’re a tourist or traveling on business, Terra Nova Hotel is a great choice for accommodation when visiting Malacca / Melaka. The hotel is not too far from the city center: just 1km away, and it normally takes about 25 minutes to reach the airport. With its convenient location, the hotel offers easy access to the city’s must-see destinations. 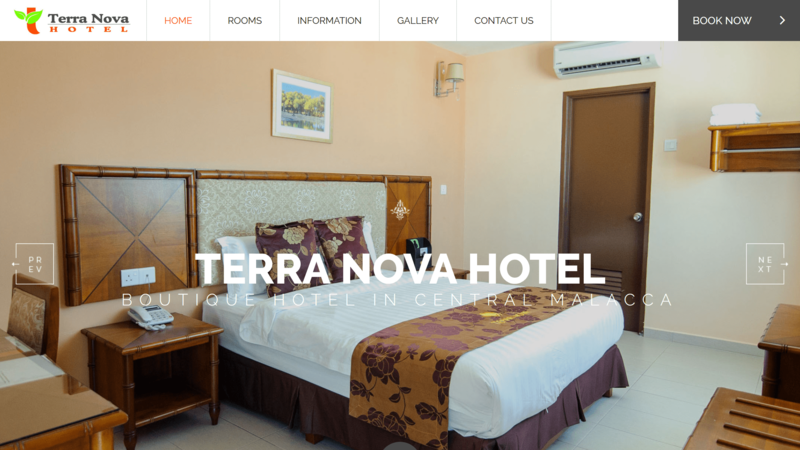 Terra Nova Hotel offers impeccable service and all the essential amenities to invigorate travelers. The hotel offers access to a vast array of services, including Wi-Fi in public areas, newspapers, room service, elevator, 24-hour front desk.